I have been thinking about dying my hair blonde for YEARS. But I was always too scared to go through with it. That changed last week when I finally did it. I just needed something different and I knew that the longer I waited, the less likely I would be to actually take that step. I’m still getting used to it. But I like it most of the time. I think it’s going to have to grow on me. I used to be the type of girl who wanted my hair to be bone straight. As I’ve gotten older, my idea of good looking hair has changed. I still like straight hair, but I want it to have some life to it. I’m never going to be a super curly hair girl, but I do prefer to have some type of body and bounce to give my hair some life. 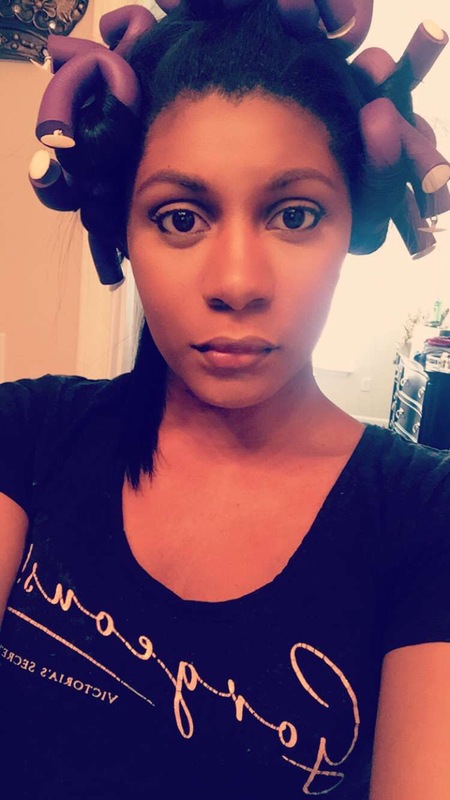 I’ve found that the best way for me to get that extra boost for my hair is by using flexi rods. With curling irons and flat irons, I have to careful not to create too much curl when what I really want is body. And most of the time, I still end up with a section or two that is super curled and then I have to try to brush it out. It’s much easier for me to just put some flexi rods in my hair and let them work their magic while I tend to other things. By the time I’m done getting dressed and putting my makeup on, my hair is full of body. Mascara is one of those beauty products where you find one and then you commit to that one brand or type for years. 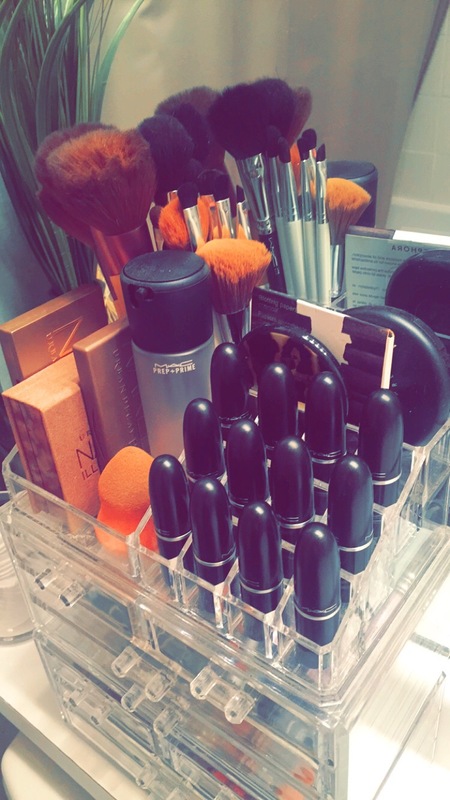 Most people don’t have a collection of mascaras that they swap out every day. You typically have your one mascara and when it dries up or you run out, you go out and buy another one exactly like it. I had been doing that with Great Lash for at least ten years. When I would watch makeup tutorials, I didn’t even pay attention to what type of mascara was being used because I knew that I was sticking with Great Lash for life. And I figured that all mascaras were the same with a different name on the packaging. I was so wrong. A while back I wrote a few posts about drinking a gallon of water each day (LINK, LINK). If you’re not drinking from an actual gallon jug or bottle, it can be a little difficult to keep up with how much water you’ve already had. I’ve recently discovered a mobile app that can help with that. It’s called Plant Nanny. 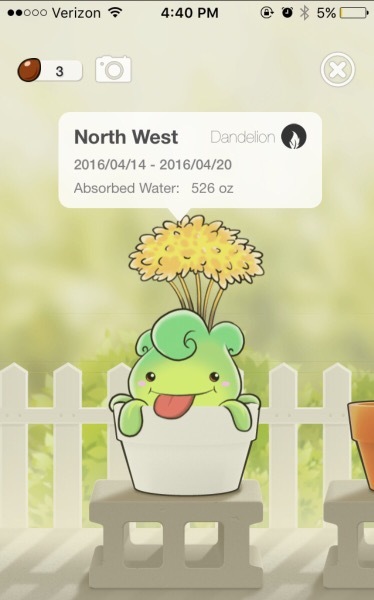 Plant Nanny uses the information that you provide about your height, weight and lifestyle to determine how much water you actually need to be drinking each day. A gallon may be too much or not enough depending on your body and how you live. Basically, the more active you are, the more water you’ll need to consume on a daily basis. One of my New Year’s resolutions was to get back in the gym and be in the best shape of my life this year. I am not one of those people who just LOVES going to the gym. I can think of fifty million things that I’d rather do than go to the gym and workout. Even though I pay for my gym membership every month, until this month I hadn’t been to the gym since June 2015. If I’m lazy enough to waste my money then that says a lot. I’m still going strong with my gallon of water “challenge”. After a couple of weeks of drinking “the right amount” of water, I noticed a few things. I kind of knew this was coming because other people who have posted about drinking a gallon daily had mentioned it. Drinking that much water in a day (every day) cleanses you and removes a lot of toxins from your body. Removing toxins is a tricky thing in that it makes the toxins rise to the surface before they can be removed. It’s the same concept as using a new facial cleanser; it gets worse before it gets better. So I had maybe three or four small pimples in those first couple of weeks and they all cleared up within a few days.